A 300 year old paper manufacturer turns high tech for its interior aesthetic. 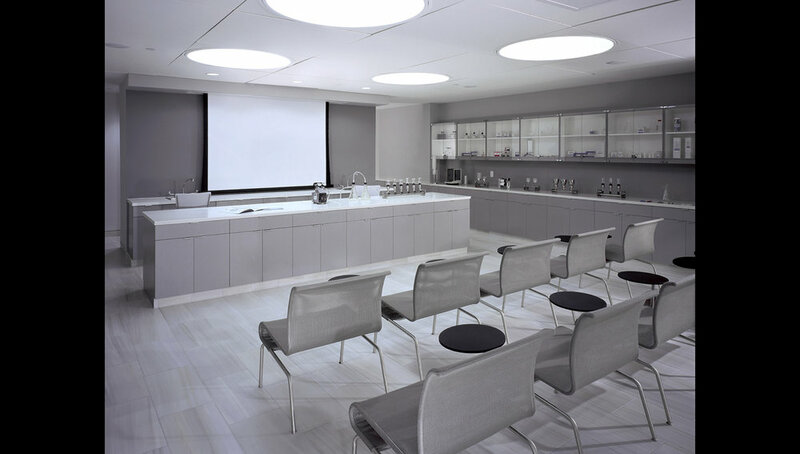 This minimalist environment provides a reception area, conference center, and product demonstration area to showcase the history of the company and the product being sold to the prospective client. 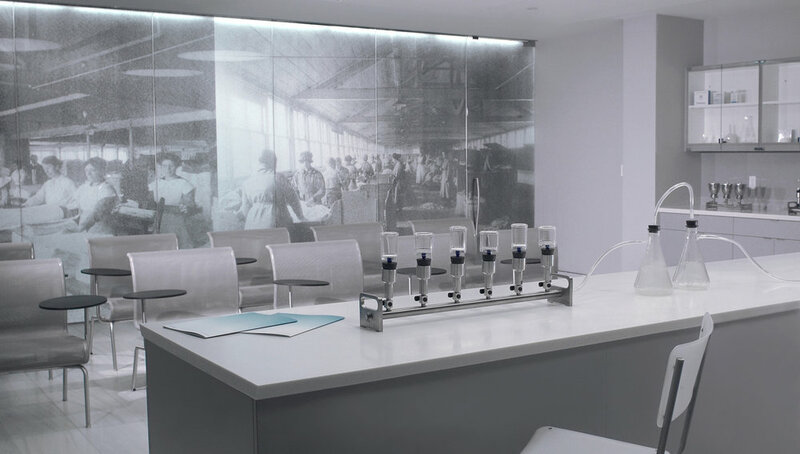 As a reminder of Whatman’s 300 year history, late nineteenth century historic photos that show the paper making process are displayed on glass walls between the reception area and conference and product demonstration rooms. 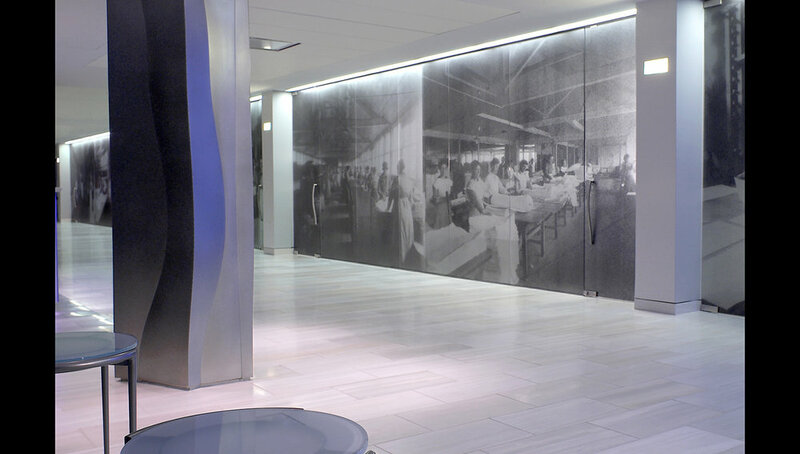 The enlarged historic memories on modern translucent glass walls provide privacy and light, while also representing their past. Contrasted to and directly adjacent to this history wall is the ‘future wall’, that displays vinyl transfers of their current products. 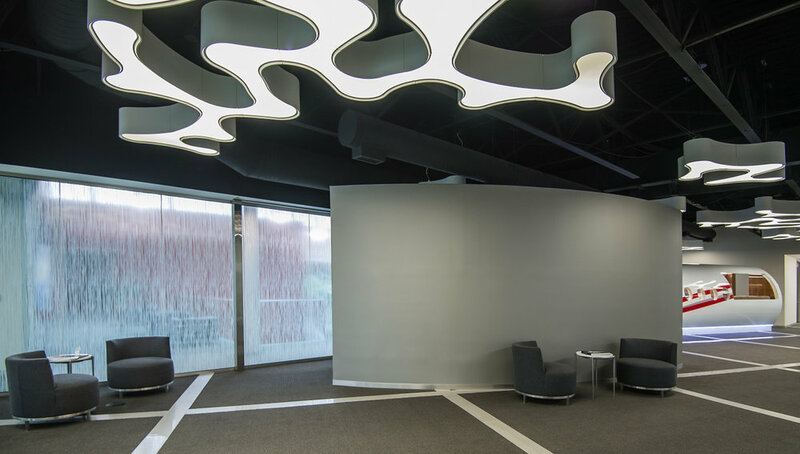 The reception area’s design is comprised of a cool neutral palette that is accentuated by LED technology that changes the color of the entire space. The colors phase from sunrise to sunset over a twelve hour period and are customizable according to season. 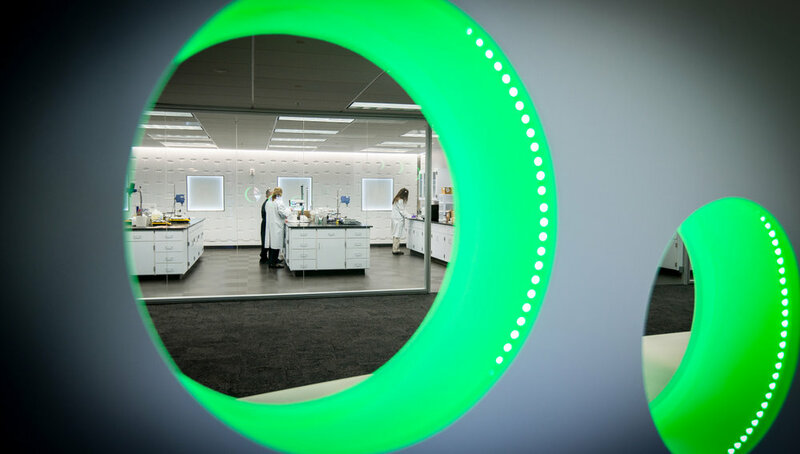 This creates an interior aesthetic and exciting brand for Whatman’s headquarters. 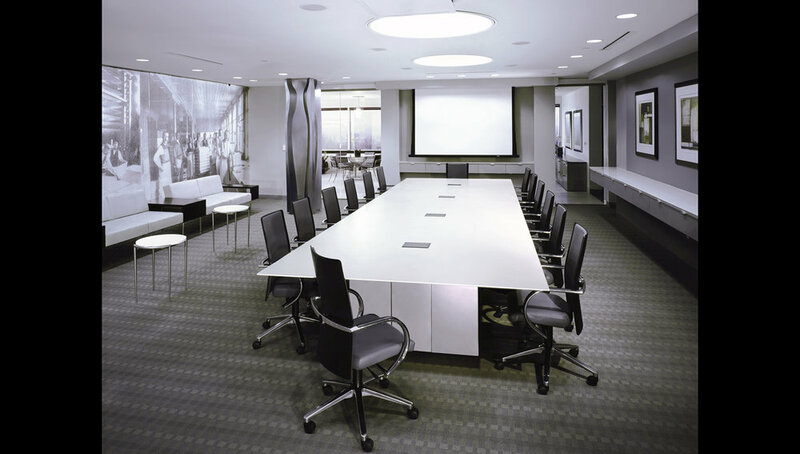 The success of this project resulted in NK’s development of a corporate branding manual, including interior design standards, which has been implemented in all Whatman offices.